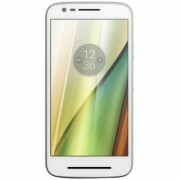 Warning: prices, links and product specifications for Motorola Moto E4 Plus 32GB are submitted by our listed stores. Please notify us if you find any errors. 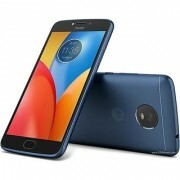 Find the best deals for Motorola Moto E4 Plus 32GB (IPS LCD display type, 5.5" screen size, 16M colors, 13 MP camera resolution, Android 7.1.1 Operating System, 32 GB internal capacity, 3 GB RAM, Mediatek MT6737 CPU type, Quad-Core, 1.30 GHz) and compare mobile phones offers from hundreds of online stores delivering in Bangalore (Bengalûru), Madras (Chennai), Delhi (Dilli), Jaipur, Calcutta (Kolkata), Bombay (Mumbai) and all over India. 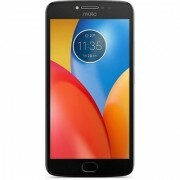 With ShopMania you can find the most convenient Motorola Moto E4 Plus 32GB prices in the market and be the first to learn about all the available sales and product discounts. 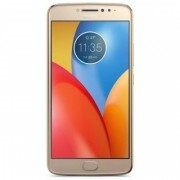 Read our users review and comments, browse the Motorola Moto E4 Plus 32GB photos and see all the product features and specifications. 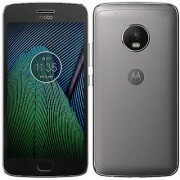 Regardless if you're viewing pics or videos, using social networks or various applications, editing documents or images or even reading a book, the 5.5" diagonal of the Motorola Moto E4 Plus 32GB display offers you an exceptional user experience, that lets you use your phone capabilities to the max. Whether you play a game or watch a video, even if you have a chat window open, 3 GB of RAM memory in your phone allows you to use more applications at once, without your phone freezing or feeling sluggish. With a 13 MP camera, this phone takes photos and video at a quality similar to a digital photo camera device, the clarity of the image is kept when transferring to a large display. 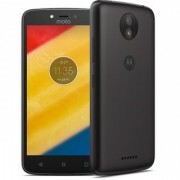 Color reproduction has high fidelity and the viewing angles are excellent on the IPS type display of the Motorola Moto E4 Plus 32GB.